Bamboo. It’s not just for pandas anymore. With advances in fabric technology, bamboo is becoming the softest, most comfortable fabric on the planet. And with UV protection, as well as moisture-wicking and anti-odor properties, you may never want to take it off. 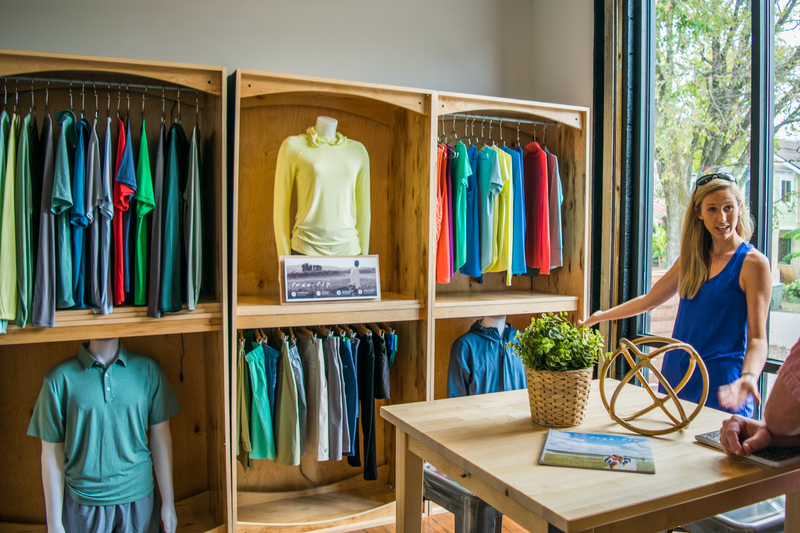 At the forefront of the bamboo clothing revolution is Free Fly, the premier maker of bamboo performance apparel. From running to fishing, hiking to biking, Free Fly’s selection of clothing has you covered. Don’t believe us? Talk to anyone who owns an article of Free Fly clothing and you’ll hear the same refrain: “This is possibly the most comfortable shirt I’ve ever owned.” (Actual quote.) At its core, the Free Fly team is Tanner Sutton, his sister Jenna Elliot, and her husband, Austin Elliot. (But the real show-runner is Arnold - Arnie to his friends - the Elliots’ rambunctious, lovable bulldog.) 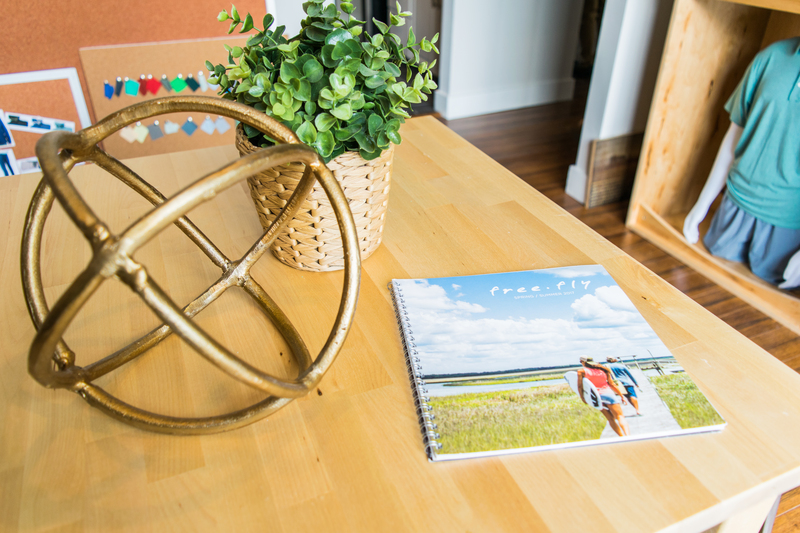 We recently made our way down to Charleston, South Carolina to meet up with the folks at Free Fly to hear their story and get the inside scoop on the magic behind their clothing over some barbecue and a margarita (okay, maybe two). 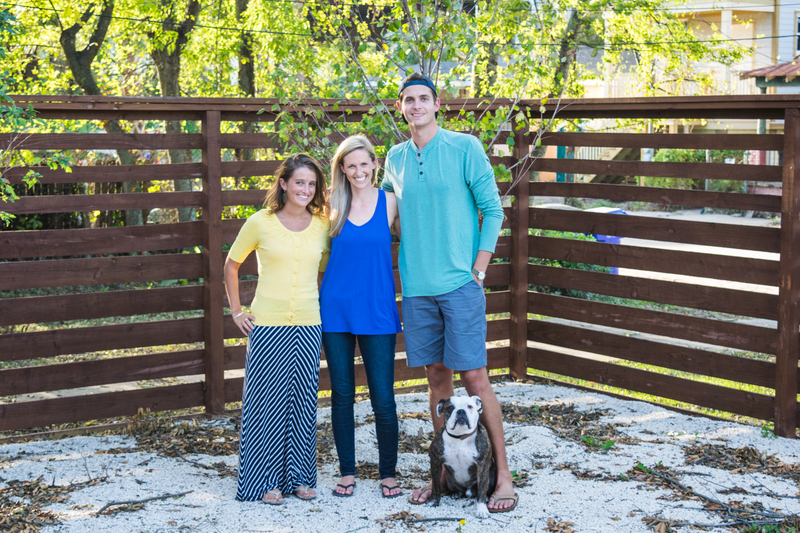 For Tanner and Jenna, the clothing industry runs in their blood. Born and raised in Montana, the siblings’ parents spent more than 30 years in the textile industry and the apples didn’t fall far from the proverbial tree. Like many great companies, Free Fly began out of a house - Tanner’s house to be specific. While working as a fly fishing guide, Tanner came across bamboo fabric samples by way of his family’s business. He began testing prototypes, blending the bamboo with different ratios of polyester and spandex. Two years of R&D later (including many hours spent "field-testing" the prototypes), and Free Fly was born. Meanwhile Jenna and Austin had each begun promising careers at a large athletic clothing company in Portland, Oregon, where they would later meet, get married, and adopt Arnold. While they speak fondly of their time there, Austin and Jenna both described the working environment as not what they envisioned for themselves "long-term." They also lamented the impenetrable bureaucratic processes in place for generating and executing on new products and ideas. With the Free Fly brand slowly picking up steam under Tanner’s stewardship, Austin and Jenna decided it was time to make a change. They quit their jobs (on the same day! ), packed up the house, grabbed Arnold, and started their pilgrimage east to join Tanner in Charleston. At this point, Free Fly was just a two year old company and Tanner, Jenna, and Austin got to work operating the company out of a single room - fulfilling orders and dashing to the Post Office to get them shipped out to customers. When asked whether there are any stories that speak to the ideals of the business, Jenna volunteers a story from those early days. They had just received a shipment of shirts and sent them out to a local printer to have the Free Fly logo printed on the garments. When they received the printed shirts, it was a “disaster,” says Jenna. Each shirt was wrinkled, missing its outer packaging, and in no condition to be sold. So what do you do when you’re a young, scrappy company with a problem? You get your hands dirty. The Free Fly team recalls one instance in which an entire section of fabric was delivered from the manufacturer littered with holes. Due to these types of difficulties, a number of competitors got themselves into hot water a few years ago for falsely advertising rayon fabrics as bamboo. Free Fly, however, is one of the proud few that has used genuine bamboo fabric from the start. Against this backdrop, it becomes abundantly clear just how much their effort and hard work has paid off in creating such a soft, yet high-performing fabric. So you know what bamboo is; but how does such a hearty, woody plant transform into something so soft and comfy? Well, it all starts with the raw bamboo, a plant that thrives around the world, and one that you may have even seen in your own backyard (perhaps to your chagrin - that stuff is tough to eradicate!) The raw plant is processed using a food-grade sodium hydroxide solution; the same type of solution that can be used to turn raw cocoa into chocolate. The resulting fibers are then spun into yarn, which can be blended with other materials (such as polyester and spandex for their performance properties) and manufactured into fabric. For Free Fly, this means fabric with a minimum of 65-70% bamboo blended with a combination of polyester and spandex. This makes for a soft, lightweight fabric that's the perfect weight for year-round comfort in the Southeast and an amazing layering piece in colder climates. For each clothing piece, the design team fine tunes this blend to meet the needs and feedback of its customers. So when the fly fishing community noticed that shirt sleeves weren’t retaining their structure after being pushed up their arms, Free Fly added a thin strip of elastic to help the fabric recover its shape and stretch. It's this ability to quickly adapt and iterate that gives Free Fly an advantage over its larger competitors. With less than 10 employees, Free Fly is still a small company. It's growing, however, almost as fast as a bamboo stalk (some species grow 1.5 inches per hour!) After outgrowing its original one-room office, Free Fly initially moved into a space that served as headquarters, design space, and warehouse. When this became too cramped, the design team moved to a new standalone building. With open, airy spaces and abundant natural light, it's not hard to see why the team chose this new spot. 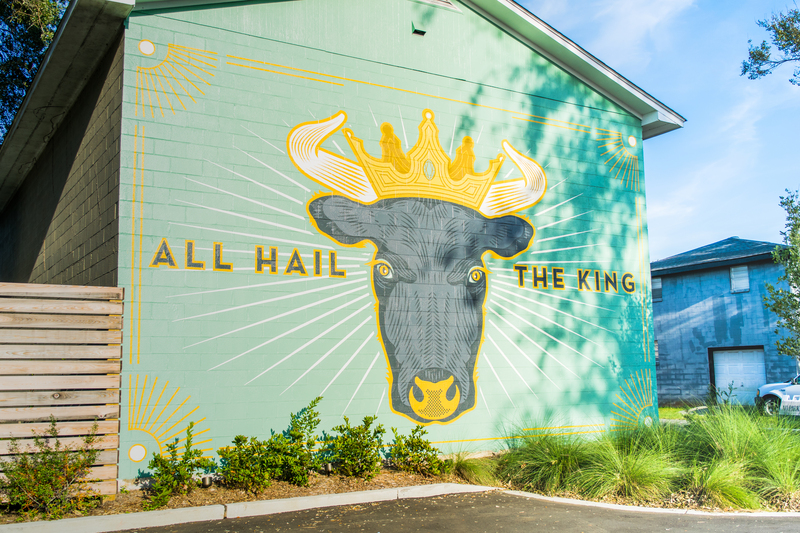 That, and the fact that it's located across the street from Lewis Barbecue. Joining us for margaritas was Free Fly's newest team member, Lily Ackerly, a Boston-native who aced the job application with her one paragraph response to the question "Why do you want to work at Free Fly?" (We'd love to read that paragraph.) Lily is currently in the process of receiving her Yogi certification, but Free Fly assures us that they could never let her leave as she has been instrumental in converting the company's informal practices into standard operating procedures. After spending an afternoon discussing business with them, it’s easy to see why this team of go-getters thrive at steering a nimble company like Free Fly, where creativity is balanced with realization. Rather than hurriedly create dozens of different products, Free Fly sticks to carefully growing its core product lines. The result is a lineup filled with winners, each product keeping you protected and comfortable (and smelling great) for all of life's adventures. First and foremost, check out Lewis Barbecue for good stiff margaritas and even better barbecue (we can vouch for this one). If you’re looking for seafood, grab a table at 167 Raw or Leon’s, but show up early as these spots fill up quick. For more traditional fare, head to Butcher & Bee for seasonal cuisine made with local ingredients. And to chase away that Sunday morning hangover, check out Obstinate Daughter on Sullivan’s Island for a brunch that will set you right. But more importantly, if you’re headed to Charleston, swing by Asheville and pick us up!